Bronze antoninianus, 19mm, 3.35gm, issued AD 270-272. Antioch mint. Obv: VABALATHVS V C R IM D R, Laureate, draped bust facing right. 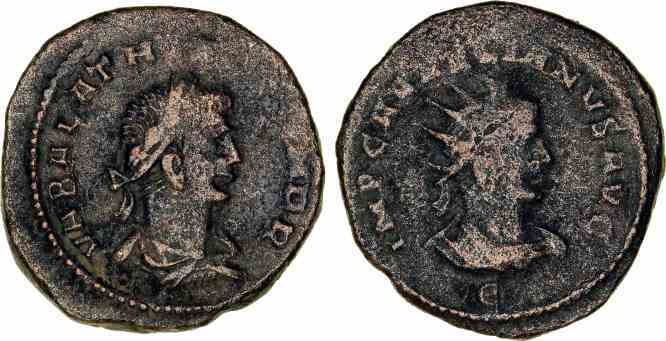 Rev: IMP C AVRELIANVS AVG, Radiate draped bust of Aurelian right, Ζ below. References: Sear 11718, RIC 381.